Of course, a lot of this is cheap plastic, likely to be disposed after a few uses - and, as with all plastic, poses problems for both health as well as the environment. 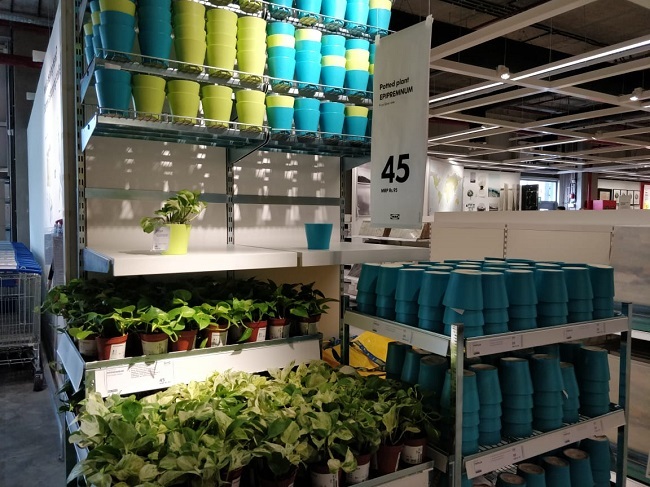 Swedish home-décor giant IKEA has opened its first ever store in India in a sprawling area of 4 lakh square feet in the heart of Hyderabad’s Hi-tech city. 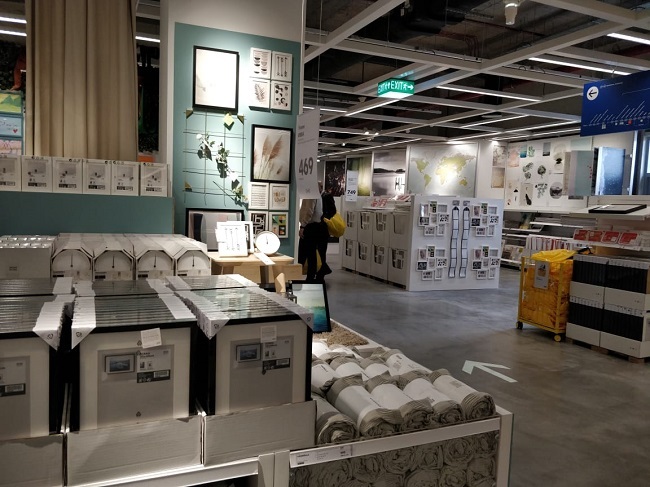 From utensils, potted plants, chandeliers to beds, cupboards and storage boxes, the IKEA Hyderabad store has a range of 7,500 products, spread across two large floors. IKEA has around 20% of its products that are locally sourced. IKEA has been sourcing from India for over 30 years for its global stores. In India, it currently has more than 50 suppliers with 45,000 direct employees and 400,000 people in the extended supply chain. 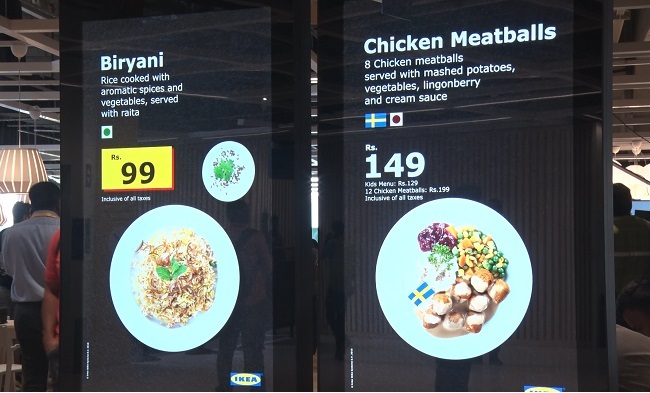 To attract Indians, who are known to be price sensitive, Ikea has begun its India operations with affordable pricing. 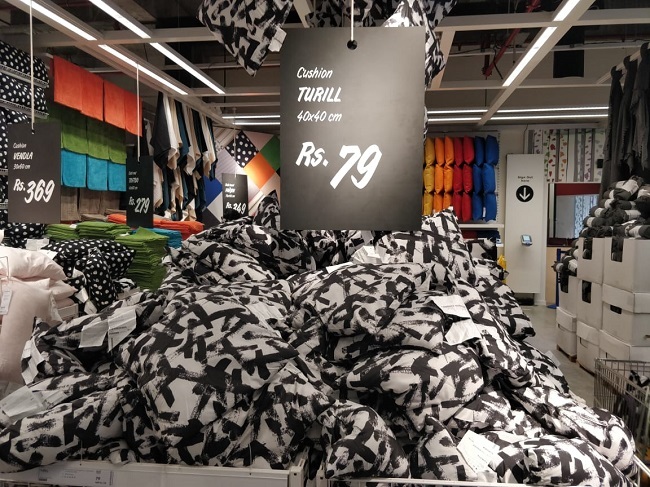 With the cheapest item priced at Rs 15, IKEA is sure to attract a lot of customers in the coming days. Of course, a lot of this is cheap plastic, likely to be disposed after a few uses - and, as with all plastic, poses problems for both health as well as the environment. 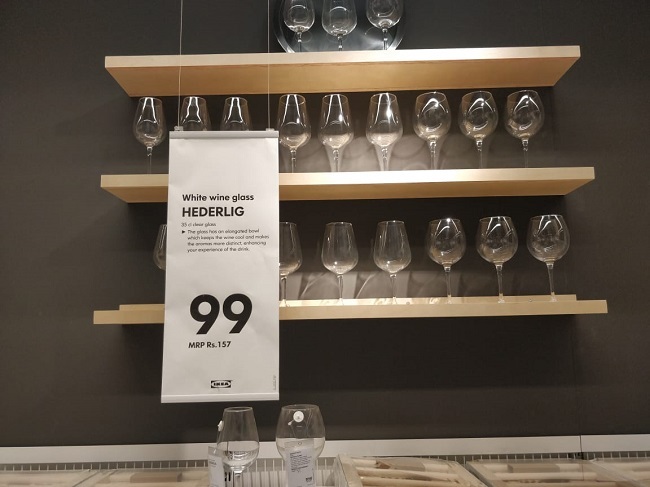 So, before you decide to spend the weekend binge-shopping at the IKEA store, let’s have a quick-look at some of their budget-friendly items that would not pinch a hole in our pockets. 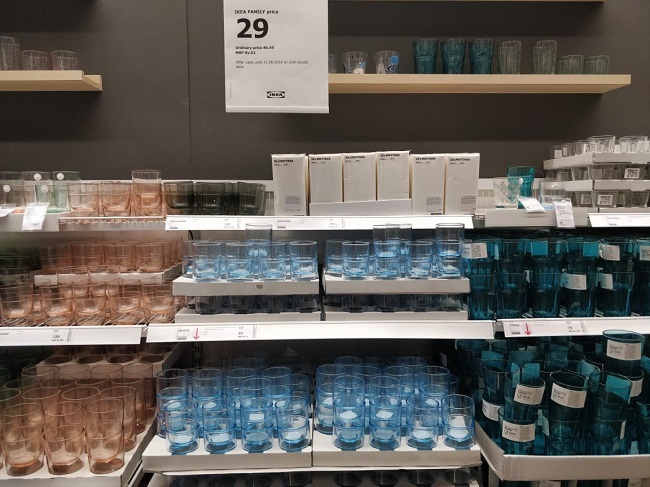 Something that we have always loved to stack up in the show cases of our dining halls, IKEA has a decent collection of glassware products made for the Indian kitchen. From glass sets that are priced as low at Rs 29 to microwave bowls priced at Rs 49, they also have slender wine glasses, tea cups and plates all priced below Rs 99. 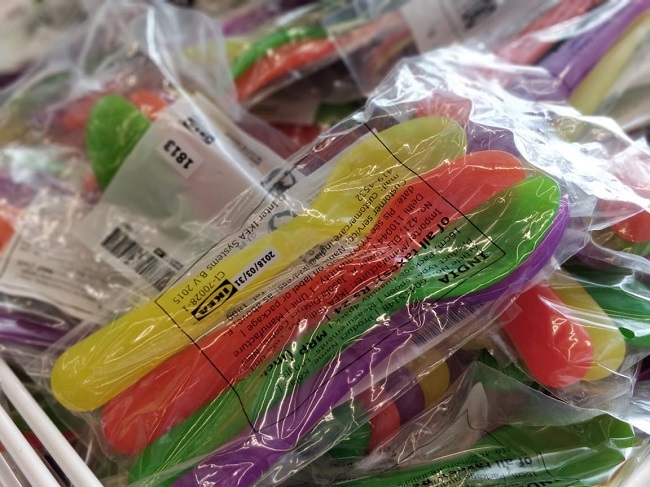 With a set of colourful spoons available for just Rs 15 (the lowest priced item in the store), the store has a wide range of plastic cutlery items for its buyers. Egg slicers priced at Rs 69, 10-pack of its iconic sealing clips for 79, dishwasher brushers for as low as Rs 29, a pick of maybe 6 miscellaneous items from this section is sure to add colour to your kitchenware. The range is moderate, but the designs are sure to blow your mind. 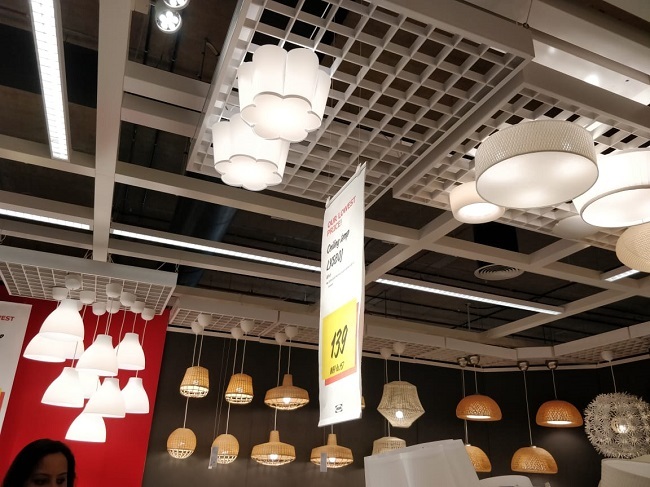 IKEA has lamps priced at as low as Rs 99 which includes study table lamps, roof lamps and wall lamps, all under Rs 200. 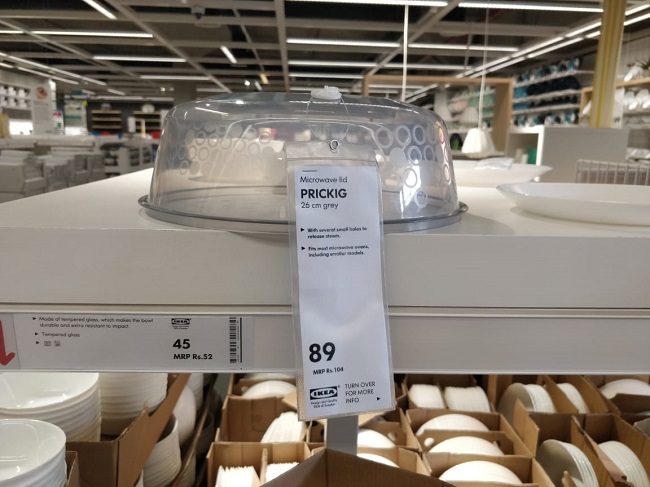 The second cheapest product available in IKEA is a glass candle holder for just Rs 17. 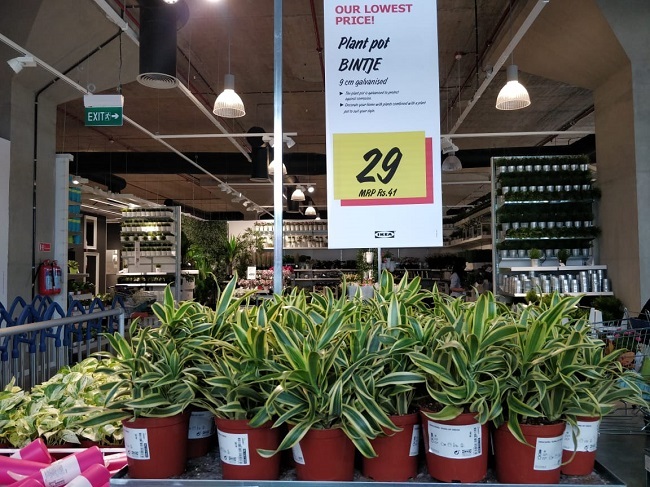 If you are looking to add some greenery to your otherwise dull room, IKEA has two-sections full of indoor decorative plants, the cheapest one priced at Rs 45. From money plants to bonsais, do not get confused between the plastic plants and the original ones. Also available are ceramic and metallic plant pots that start from Rs 29. Fluffy cushions are available at a price of Rs 79. Also available are quirky coir door mats -- with ‘welcome’ written in Telugu and Hindi -- rugs, bath towels, table clothes all below Rs 200 in this store. 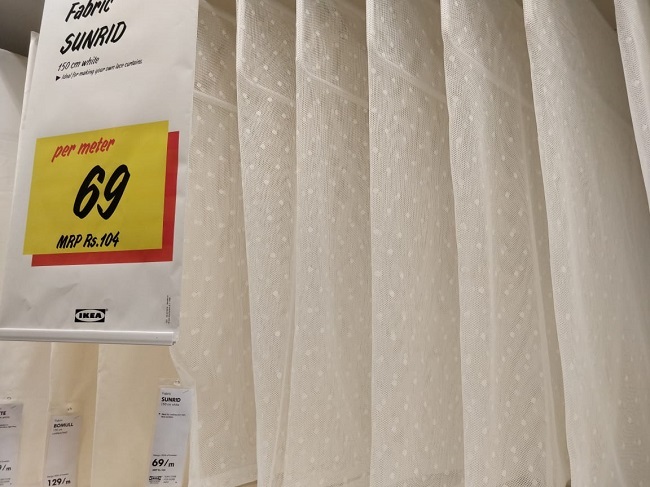 Might be a little alien to Indian bathrooms, IKEA has some sober-coloured shower curtains for your bathrooms at a price as low as Rs 69 per piece. To add zest to your walls, the store has tiny picture frames and silver mirrors that start at a price of Rs 59 and Rs 99 respectively. IKEA has a huge collection of stuffed polar bears, monkeys, pandas, rats and even pigs that can make one go ‘Awww.’ While most of them are expensive, there are a few smaller ones priced at Rs 79 as well. 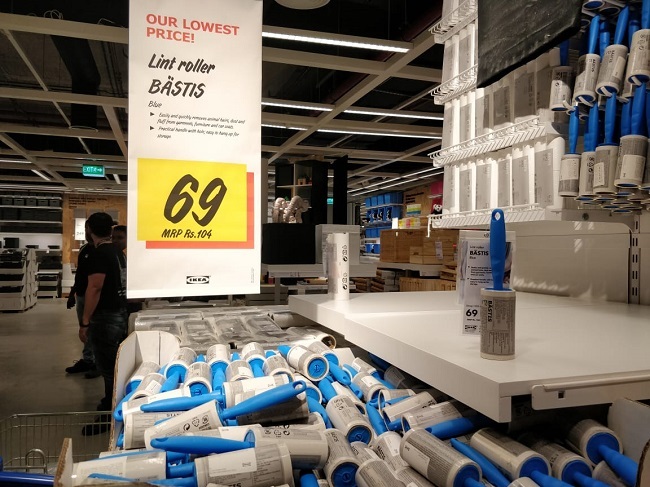 A product not easily available in Indian stores, Lint rollers are used to remove dust and tough stains off from clothes and are available for Rs 69 at the IKEA store. 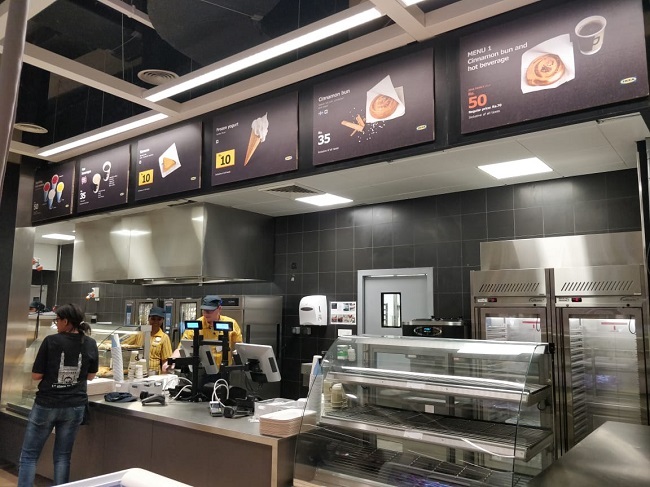 It's not just home décor items, food at IKEA has also been priced at a nominal price. From a plate of Samosa, frozen yogurt, each costing only Rs 10, most items are priced below Rs 100. Hyderabad’s favourite biryani is also available at just Rs 99. 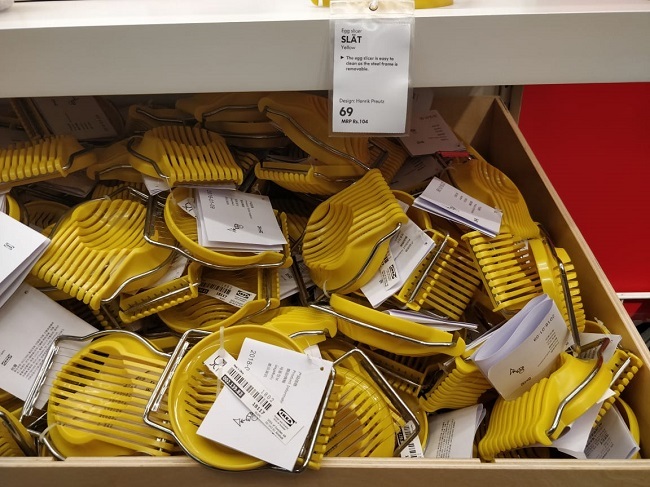 However, these are just some of the cheap products available at IKEA. In total, there are 1000 items priced at below Rs 200.